If you have a party or family gathering coming up and you want to know how to drop a dress size, we have a specially-devised diet plan that can help you to drop a dress size in just five days! This five day low-fat, low-calorie plan is nutrient packed, so you’ll be a dress-size smaller in less than a week! And don’t worry about going hungry, there’s a list of snacks to choose from too. A low-fat, nutritionally balanced five-day plan designed to leave you feeling and looking trim. Follow it exactly and you could lose enough weight to drop a dress size. The meals in this diet plan are low fat and low calorie but still packed with nutrients so you’ll lose weight without missing out on anything. There’s plenty of fruit, veg and fibre in the meals that should fill you up. Even if you do get peckish, there’s a list of snacks to choose from. There’s also a wide choice of breakfasts, lunches and dinners so you shouldn’t get bored. People who want to lose weight quickly for an event or party. People who don’t like calorie counting, as long as you follow the meal plans, that’s all been done for you. It’s a quick fix not a long-term solution so you could put back on any weight you lose after the plan. Each day you should choose one breakfast, lunch and dinner. You’re also allowed two snacks from the list below and you should aim to drink at least eight glasses of water. Meal 1. 30g (1oz) unsweetened muesli with 1tbsp natural yogurt and a handful of raspberries, 1 glass unsweetened orange juice. Meal 2. 1 slice of wholemeal toast topped with 3 cherry tomatoes, sliced and grilled, 1 glass unsweetened fruit juice. Meal 3. 2 small free-range eggs, poached and served on 1 slice of wholemeal toast. Meal 4. Smoothie made from the juice of 1 large orange, 1 banana, 150ml (1/4pt) semi-skimmed milk, 1 small pot of natural yogurt and 1tsp clear honey. Whizz in a blender and serve. Meal 5. 1 bagel, toasted and topped with 1tsp reduced fat cream cheese. Small bowl of strawberries. 1/2oz) reduced fat mozzarella, all sliced. Drizzle with 1tsp oil-free dressing, and serve with 2 wholegrain crackers. Meal 2. 1 carton of fresh shop-bought vegetable soup, served with 1 wholemeal roll. Meal 3. Open sandwich made with 1 slice of wholemeal bread, 2 slices of lean ham, rocket leaves and 2 tomatoes, sliced. 1 yogurt. Meal 4. 1 jacket potato with 2tbsp low-fat cottage cheese, 1 orange. Unsure about jacket potato portion size? It should be no bigger than a computer mouse. with 100g (3 1/2oz) mixed vegetables, stir-fried in 1tsp olive oil. Meal 2. Roast 1 chicken fillet with a small tin of plum tomatoes and mixed herbs at 190°C (at Gas 5) for 15-20 mins. Serve with 60g (2 1/4oz) each of broccoli and carrots, both steamed. 2 plums for dessert. Meal 4. 1 small lamb chop, grilled for 10-12 mins, and served with 60g (2 1/4oz) each of mangetout and sweetcorn, both steamed. with 55g (2oz) of egg noodles, boiled. 1 piece fruit 1 yogurt 1 cereal bar 2 oatcakes with cottage cheese 3 squares of dark chocolate Split meals on our Diet Club Light Choices plan to have more snacks and stop you feeling peckish!  After lots of requests from goodtoknow users (we do listen to you! ), here’s a shopping list with all the ingredients you need for the Drop A Dress Size In Five Days Diet for you to print out and take to the shops with you. As the diet’s only for five days, if the amount isn’t stated, buy the smallest quantity you can. If you want to repeat it or carry on, there will be ingredients left over for you to use or simply buy bigger quantities.